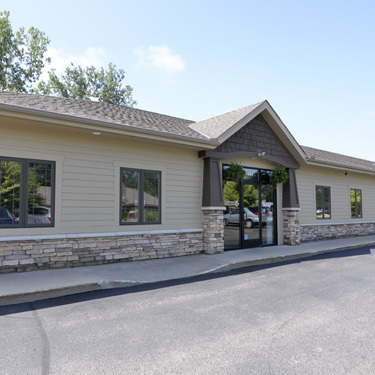 Your initial visit with Parkhurst Chiropractic will include the completion of intake paperwork, a discussion with the doctors regarding your health history and current concerns, an x-ray to pinpoint your problem areas, a physical examination, and your first adjustment. We will create a personalized care plan and discuss the outlook of future visits. We will also be able to identify which technique is right for you, which tools will best accommodate your specific needs, and how fast your body will likely respond to care. Each step of your first visit is carefully completed and allows you to be involved in your own health care journey. Intake patient forms provide us with your health history and detailed information about your condition. This paperwork allows us insight into your unique situation, better preparing us for the consultation to come. 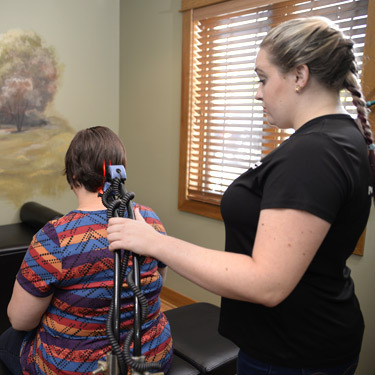 For every new patient, digital images are taken to alert us of any serious spinal subluxations and help us develop the most effective treatment plan for you. We will review your x-rays with you to help you gain deeper understanding of your condition and verify the location of any misaligned vertebrae. Please note that we do not x-ray expectant mothers or children under five years old. Consultation and examination are key to our ability to efficiently, effectively assist you. Following a discussion with one of our doctors to learn more about you, your condition, and your expectations of care, you will receive a thorough examination. This examination will include chiropractic, neurological, and orthopedic tests to evaluate your difficulties. 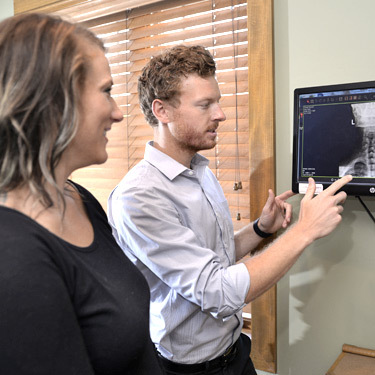 Last, but certainly not least, if you choose to become a Parkhurst Chiropractic patient, a personalized treatment plan will be developed for you based on your intake forms, x-ray images, consultation, and examination. 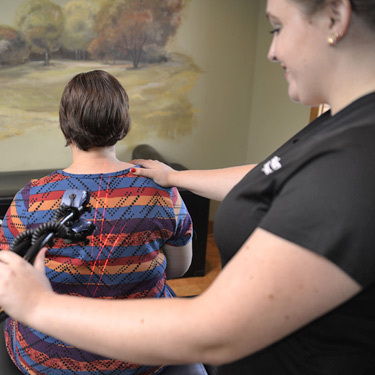 Treatment methods may include spinal manipulations, traction, cold laser therapy, manual therapy, or decompression. A suggested exercise plan may be offered to you to build increased flexibility, strength, and overall well-being. Parkhurst Chiropractic believes in the value of care for you and your family. Do not let the rise in healthcare cost stop you from getting the care you need. We are glad to provide you with a solution that allows you to obtain the care you need to live your life to the fullest. We treat people, not insurance plans. 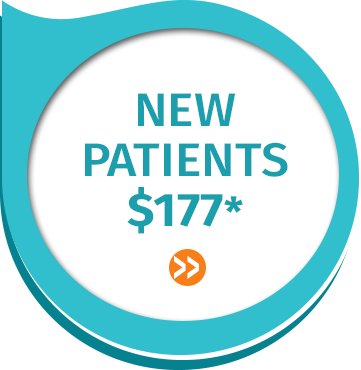 Our $177.00 PCD New Patient Special (Medicare/Medicaid & Insurance Guidelines Apply) includes an in-depth consultation, full x-rays, a thorough physical examination, and your first adjustment. Preferred Chiropractic Doctor (PCD) is a discount plan that enables patients with limited to no existing health care coverage to receive chiropractic care more affordably. This plan is NOT insurance, as is provides discounts at specified providers of chiropractic services. By participating in this cash fee system PCD, you are eligible for regular fee schedule discounts that allow you to save money in the long run. Your participation in the PCD program requires an annual membership of only $37.00, which includes your spouse and dependents up to age 26. Contact our office today to learn more about our Preferred Chiropractic Doctor plan. Parkhurst Chiropractic accepts most major insurance plans, including Medicare. We also accept auto accident, workers’ compensation, and personal injury coverage. As plans and coverage vary widely, please call us to determine if your plan covers services in our office. We are happy to verify and explain your benefits before treatment, free of charge. In addition to insurance, our practice offers Care Credit, a credit card exclusive to healthcare services. This card allows you to pay over time, often without incurring interest charges. Care Credit may also be used to cover high deductibles and copays. To Pay My Provider using Care Credit please click here. Take control of your health. Get started today by contacting us to book your first appointment.